1.1 Weighted Blankets Safety Tips – What Are The Risks? Weighted blankets are now becoming more popular than ever. This is because of their wide range of health benefits, not only for adults but for kids as well. For people with sleep problems, a weighted blanket can be a very useful tool to aid in attaining better sleep and relieve some of the most common insomnia problems. 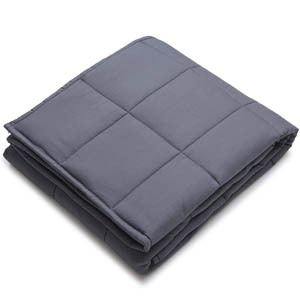 Weighted blankets provide pressure and sensory input for individuals who suffer from sleep problems and related disorders such as restless leg syndrome, insomnia, autism, ADHD, and anxiety, among others. When you use a heavy blanket, it provides deep touch pressure stimulation, as if you’re being hugged, massaged, cradled, and grounded. In turn, the body will feel relaxed because this stimulation will trigger the brain to produce more serotonin, a feel-good hormone. Serotonin is a neurotransmitter that relay messages from a brain area to another, particularly the parts linked to appetite, mood, sleep, learning, memory, and social behavior. Weighted Blankets Safety Tips – What Are The Risks? Weighted blankets offer many benefits to those who need them, but they need to be properly utilized. Adults who sleep with a weighted blanket should never offer it to children. There are sizes intended for kids and those should not be mixed up with the adults, especially for toddlers. One of the most dangerous potential risks of using too heavy weighted blankets on little kids and toddlers. There is a real risk of suffocation for kids who are left unattended under a weighted blanket which is too heavy for their bodies. When using a weighted blanket for kids, it is EXTREMELY important to use the correct weight and size and not to use an adult weighted blankets on toddlers. Following those instructions, you can completely prevent the risk of suffocation in cases of infants and especially the sudden infant death syndrome (SIDS) that might occur. Weighted blankets are designed for both adults and children who are suffering from many conditions that can alter sleep and behavioral patterns. However, manufacturers are strictly advising customers to never let babies or toddlers under the age of two to use their adult weighted blankets. That is mainly to prevent suffocation and incidents related to sudden infant death syndrome (SIDS). Also, avoid using a DIY blanket if you’re not 100% sure it is safe from spillage, incorrect weight selection, and heavy fabrics. The weight of the blanket may be too heavy for toddlers to sleep under, posing a threat and risk for suffocation. For children more than two years old, the child must not be too young, small, or physically challenged to remove the blanket on their own. Parent supervision is advised, particularly for children below the age of six. Moreover, the weighted blanket should never cover the child’s face and they should not be wrapped tightly in the blanket. On various occasions, people use blankets as a form of restraint for children. In hospitals and clinics, they use blankets to restrain a child needing an invasive medical treatment. This will prevent the child from being too active or when a crying child can’t be consoled during a treatment. Moreover, some parents use their blankets at home to restrain their children when they’re too naughty or they need to drink their medicine. But, never ever use a weighted blanket as a restraint for children, since it can be fatal. They can be wrapped too tightly, limiting the oxygen they breathe, which can lead to suffocation. Children, toddlers and people who are physically-disabled should be able to remove the weighted blanket on their own without any external help. This is in case the blanket has covered the user’s mouth or nose, he or she should be able to remove it to prevent suffocation. In cases where the user can’t do this on his or her own, the use of a weighted blanket is not recommended, unless strict supervision is implemented. Children or adult users should provide consent on the use of weighted blankets. Any form of refusal should be respected. The calming effect of a weighted blanket would be more effective if it’s self-administered and not forced. It might have quite the opposite effect if kids are refusing to use it and you force it on them. Don’t underestimate the power of the mind. A child should never use a weighted blanket for adults, and vice versa. More importantly, the weight recommendations should be strictly followed. Calculating a person’s weight is essential to determine which weight is ideal and safe to use. When the blanket is too heavy for the child or adult, it can lead to potentially-fatal effects. Also, when the cover is too light, it won’t provide the proper deep touch pressure for optimal efficacy. Weighted blankets are designed to work on their own, and therefore, you won’t need another weighted product to go with it. 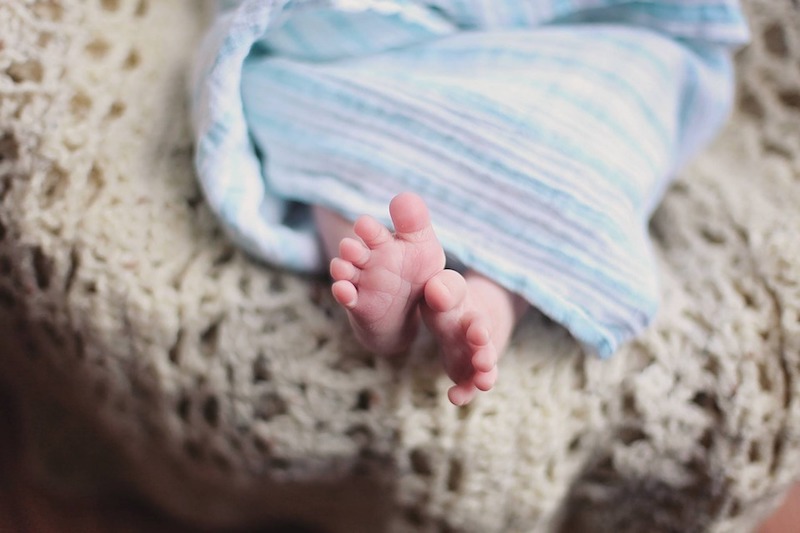 It’s potentially harmful to use two or more blankets for both children and adults. When there is too much weight, it can also lead to suffocation. Babies and toddlers are at greater risk of sudden infant death syndrome (SIDS) and one of the risk factors is using covers that are too heavy in their crib or cot. Even an ordinary blanket can pose a serious threat to the life of infants, can you imagine what more a weighted blanket can do? That’s why it is not recommended for babies under the age of two to use weighted blankets and never put one inside their cot. By doing that you can greatly reduce the risk of suffocation and sudden death syndrome. If you bought a weighted blanket for you or your child, ensure that you inform all caregivers and family members about the proper use of the blanket. Everyone in the household should know the purpose of the blanket and how to safely use it. With the proper use of a weighted blanket and the strict adherence to these safety guidelines, you can rest assured that the adult or child using the blanket can get the optimum results from using the blanket. 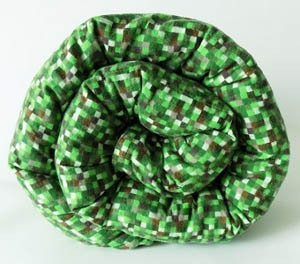 The effectiveness of the blanket also relies on the proper use of it. The bottom line is, supervision is the key to letting your child use the blanket and, again, never ever let kids use them without supervision. To see what are the best weighted blankets on the market for 2019, you can visit my comparison post here and decide whether you need one or not. Looking forward to hearing from you! WeightedJournal.com is a participant in the Amazon Services LLC Associates Program, an affiliate advertising program designed to provide a means for sites to earn advertising fees by advertising and linking to Amazon.com and other sources. Who Is Behind Weighted Journal? Hi, my name is Larry! I started Weighted Journal to help people find the best weighted blanket for their needs, learn more about them and see the amazing health benefits weighted blanket can offer if used regularly. © 2019 Weighted Journal - All Rights Reserved.